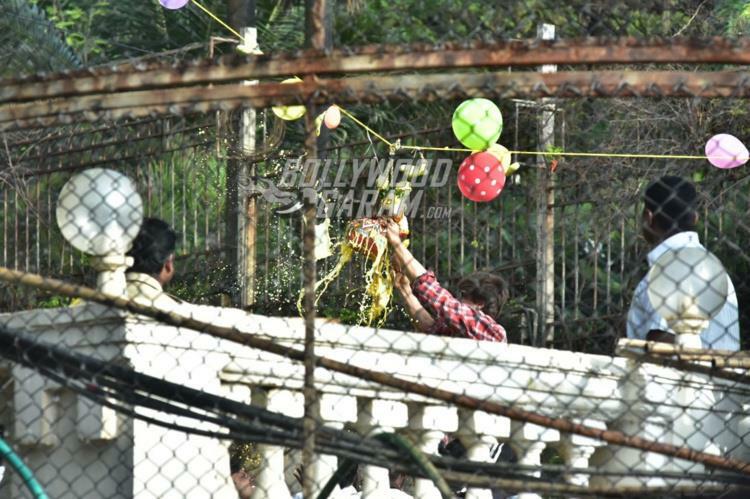 Bollywood star Shah Rukh Khan is known for celebrating all Indian festivals. 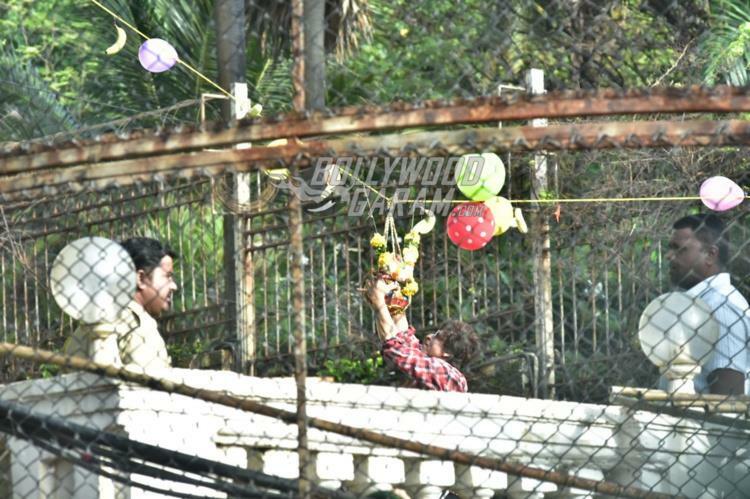 Be it Diwali or Eid, the actor has always had his own unique way of celebrating festivals. 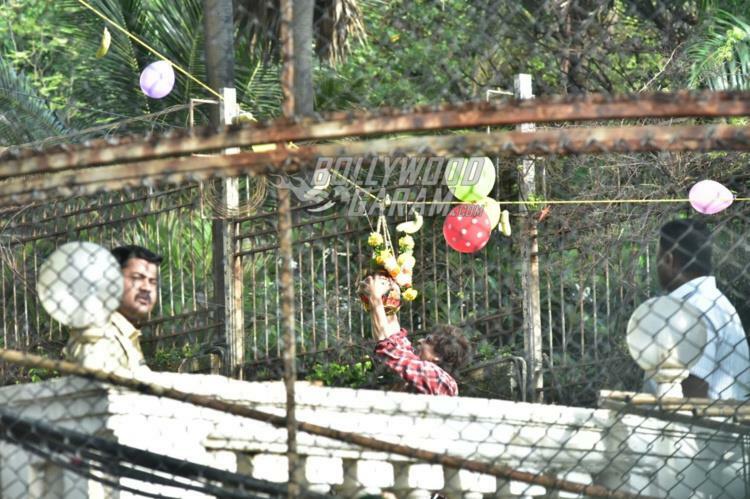 On the occasion of the festival of Janmashtami, the actor was snapped celebrating at his residence at Mannat in Mumbai on September 3, 2018. Shah Rukh Khan was seen breaking the traditional Dahi Handi at his residence and was accompanied by son AbRam. 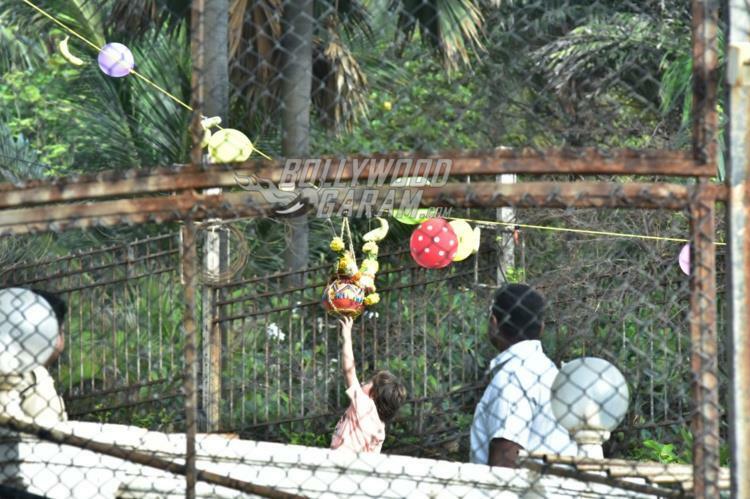 Little AbRam was also seen trying his hand on breaking the traditional earthen pot which is filled with yogurt. On the work front, Shah Rukh Khan is busy with his upcoming film Zero which also stars Katrina Kaif and Anushka Sharma. The actor will be seen playing the role of a man with a short stature and falls in love with a superstar played by Katrina Kaif. On the other hand Anushka will be seen playing the role of a girl with intellectual disability. The film will also mark the last film appearance of the late actress Sridevi who passed away on February 24, 2018.